So we got back last monday and it has been a whirlwind… worked on a delivery arrangement, 2 AMAZING weddings (details to come! )… 1 with the awesomest Jesi Haack, and the other, a 2 part wedding with the coolest kids on the block, Sugar & Fluff, and some arrangements for my friend Nancy’s nail salon opening, Dipped in Redondo Beach (check it out!). So, yeah. Whew! Very thankful though, for the generous help from N and my go-to assistant Marisa! 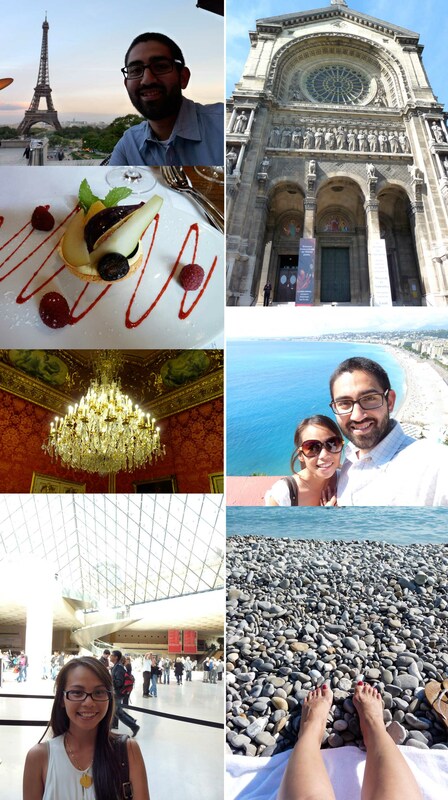 Anyway, wanted to share with you some snippets from our honeymoon… it really is a snippet, because honestly, how do you go through and share 800 something pictures? (ok, i guess photogs do it ALL the time! not for me…). Considering N & i are TERRIBLE with taking pictures (as in, lazy)… 800+ images isn’t too shabby for a 3 week Euro romp right? So, let me briefly tell you about the trip! It was a trip of a lifetime, no doubt. The focus of the trip was Food & Wine (surprise?). I bought nothing for myself but together, we bought some antique Murano glass beads (7 pieces), that were VERY special (and the poor shop owner was so sad to see them go)… that i will be framing as art hopefully in the near future. And N bought a tobaccy pipe from the coolest 72 year old Italian man we ever met. It was quite the experience… lounging in his shop and discussing life, philosophy and books. We met some really cool people and had very memorable experiences… experienced wine country in all of its exclusivity… amaaaaazing. 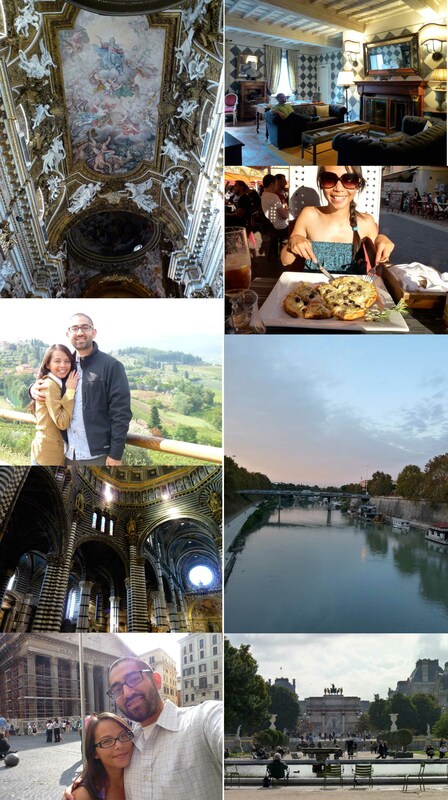 Our favorite places were wine country (more Italy’s, for me), though the cities had all the points of interest. It was awesome for me to see the places and buildings i had spent so many years learning about in art history classes at the Academy. So very humbling and awe-inspiring. The history is just insane… spaces that dated back to B.C…. it was surreal. I have always been a fan of religious architecture so the cathedrals did not disappoint. And all the Jesus art i saw just blew me away… full of emotion, drama and movement. Experiencing everything in Europe, the history, architecture & the art, in person, really made me feel there is NO reason for us (anyone, everyone) to NOT achieve greatness. The places we visited in France were Paris (Montmarte! ), Beaune / Bourgogne (Burgundy), Nice, and Monaco (Monte Carlo). 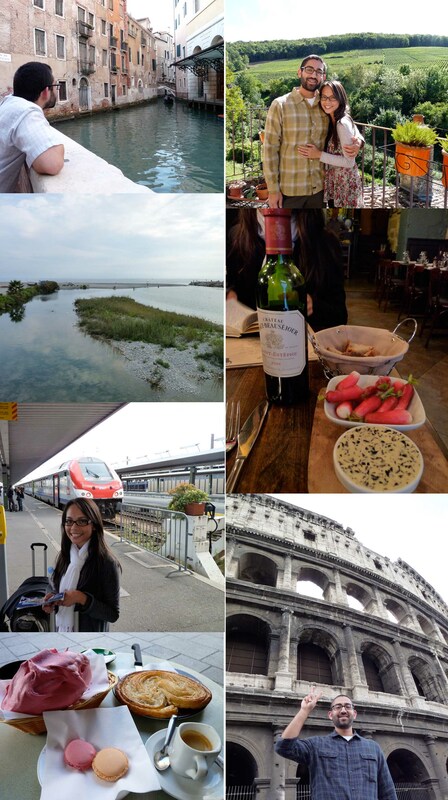 In Italy, we visited Ventimiglia, Genova, Venice, Florence, Tuscany (Greve, Volpaia, Fonterutolli, Siena, Cuna, Monteroni d’Arbia, Buonconvento, Montalcino, Pienza, Asciano), and Rome. Whew! So yeah, we had a wonderful time but are glad to be home, because we LOVE it here at home in sunny socal. 😀 Hi everyone! This entry was posted on Tuesday, October 12th, 2010 at 10:02 am	and tagged with Europe, france, honeymoon, italy, M&N and posted in Personal. You can follow any responses to this entry through the RSS 2.0 feed. « Off to the honeymoon! yes, what IS that giant maccaron of a beasty loaf in that basket!?? looks like an amazing time! ohh how i long to see the cathedrals somedayy…..
Blessings for a long and fruitful life together! I hope that the trip was inspiring to your art as much as it was to your soul. Hey, Mai! Congrats to you and Nick! It looks and sounds like you had an amazing time. I mean, who wouldn’t, right?! Aw thanks so much Jasmine! Hope you are doing well!